A blog devoted to tracking news related to Aqueduct. On Saturday, March 16 at 1 p.m., Queens Library will celebrate women who helped shape hip hop with a panel event at Central Library in Jamaica. More than a dozen female artists will discuss the current state of hip hop. This group of acclaimed artists include: Sha Rock, Original Spinderella, DJ Flame, Sheri Sher, DJ Lady Love, Missy Dee, Belinda Trotter-James, Debbie D, Kimba Reynolds, MC Glamorous, Pauline Mimms, Sweet Tee, Sparky Dee and Nikki Dee. Ralph McDaniels, Queens Library’s hip hop coordinator, will moderate the panel. The event, marking Women’s History Month, is free and open to the public. Ever wondered what it’s like to have a meal with Santa Claus? Wonder no more! 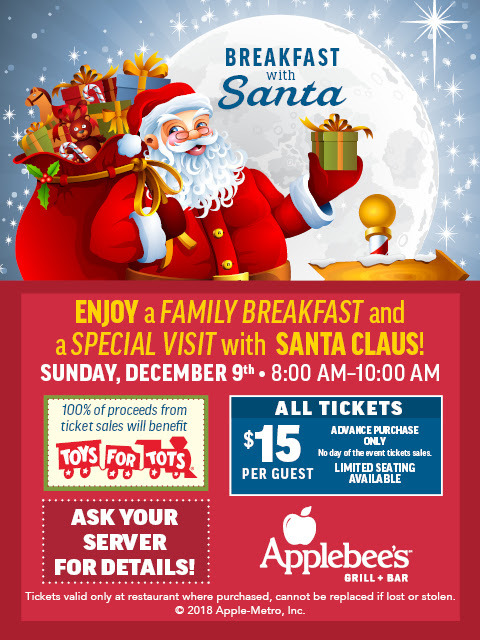 On Sunday, December 9, from 8 to 10 a.m., enjoy a family breakfast at Applebee’s and a special visit from Santa. All tickets are $15 per guest, and can only be purchased in advance. Tickets are valid only at participating restaurants. 100 percent of the proceeds will benefit Toys for Tots. 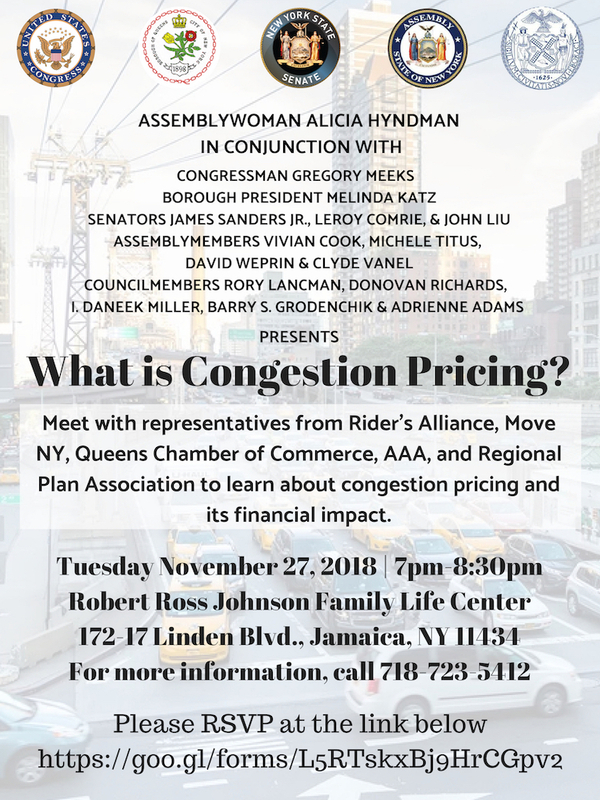 Tonight, elected officials from southeast Queens, along with business organizations, transit advocacy groups and others, are hosting a forum on congestion pricing. The event will be at the Robert Ross Johnson Family Life Center (172-17 Linden Blvd), starting at 7 p.m. Hear from all sides of the debate about how to best curb congestion in the city, while also funding the necessary fixes to mass transit. Although there have been intense discussions on this topic, motorists and transit riders in eastern and southeast Queens need to be heard as well. Attend the forum and learn more about how this policy can affect your commute. 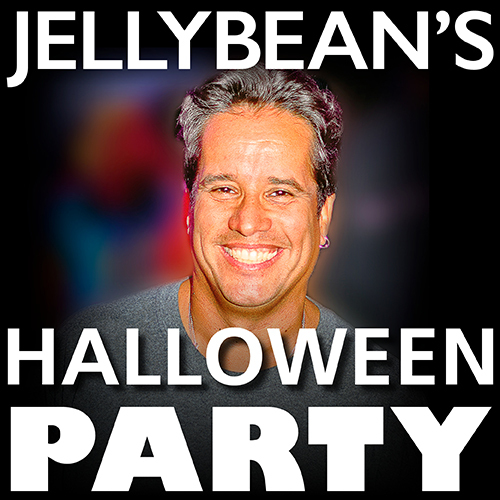 On Saturday night, head over to Resorts World Casino for their annual Halloween Party, featuring renowned DJ Jellybean Benitez. He will be bringing some spooky tunes to the crowd, joined by special guest Rockers Revenge. Guests are encouraged to dress up at RW’s Central Park space. Please note that facemasks are not allowed on the casino floor and must be removed upon request. 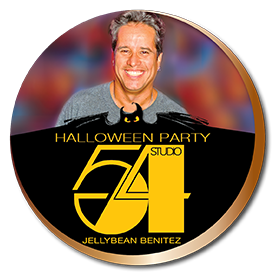 Jellybean Benitez, a South Bronx native, is best known for his performances at Studio 54 and other dance clubs in the 80s. Purchase your tickets for the Halloween Party here. Doors open at 8 p.m., and the party begins at 9 p.m.! Know Your Rights workshops on criminal records is coming to Transitional Services for New York and South Jamaica Cornerstone Community Center. The events will offer free lawyers who are available to discuss record sealing and getting a copy of your rap sheet. You may be eligible to have your record sealed if you have one or two criminal convictions total, your convictions are more than 10 years old, and you have no more than one felony. The first workshop, with LIFE Camp, will be from 4 to 6 p.m. at 90-27 Sutphin Boulevard. The second will be from 7:30 to 9 p.m. at 109-04 160th Street. Both are on Thursday, October 25. Tonight is the 2015 ESPYs Awards Show, where some of the biggest athletes from around the world will be honored. However, you can also meet with local sports heroes tonight when Resorts World Casino hosts the All Star Meet & Greet. 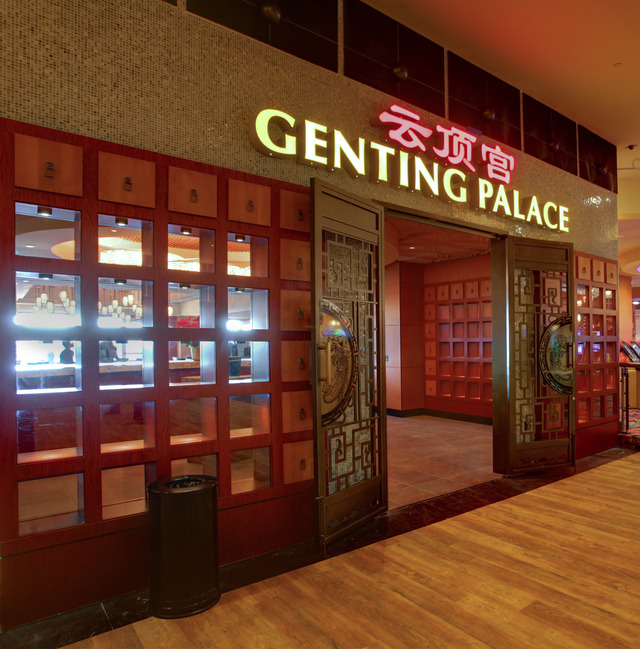 The event is taking place at Genting Palace within Resorts World at 110-00 Rockaway Blvd and runs from 8:30 p.m. to 10:30 p.m. Athletes include three-time Pro Bowler and former wide receiver and tight end for the New York Jets, Richard Caster, as well as former running back for the New York Giants, O.J. Anderson. Anderson played in the Pro Bowl twice and was named the MVP of Super Bowl XXV in 1991. Bruce Harper, the Jets’ all-time leader in kick returns, with 5,407 yards in kickoff returns, will also be in attendance. Knicks first round pick and St. John’s University alum, Mel Davis, will join the football greats. Fans will also get a chance to meet Pam Oliver, one of the most respected female sportscasters on air. Tickets are $40 per person and can be purchased at rwnewyork.com or within the gift shop at Resorts World Casino. You must be 21 years and older to attend the event.